Have you ever had an experience when you hear a song and then you suddenly remember strong memories associated with that music? I often do, and on occasions when I hear pop songs I used to listen to when I was younger, I often end up reminiscing of the 90s and how so much easy and carefree life was back then. This is true not only with music. Other external stimuli may also trigger strong memories and emotion – a certain smell, the sound of rain on rooftops, and even the taste of certain food may remind you of lush memories from the past. I remember back in High School, my mom would regularly pack us lunch, and now every time I get a taste of tocino, adobo, or corned beef, it brings me back to fond memories of enjoying the baon lovingly prepared by “ma”. 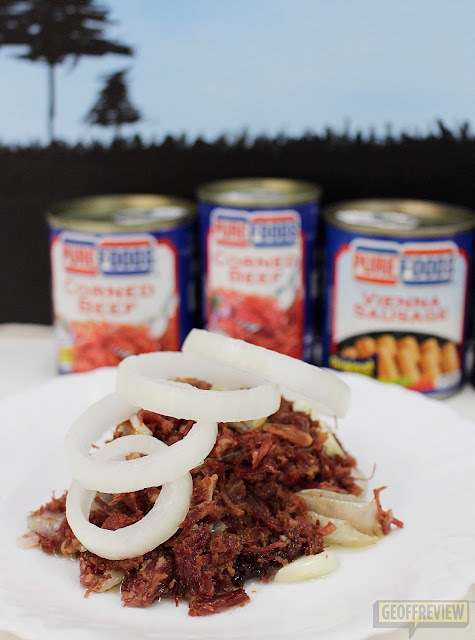 Corned Beef was an extra special baon to me back then, which is why it always brings me back to memories of High School when I have Purefoods Corned Beef in my meals. There has to be a particular way of cooking – it has to be sautéed in garlic and onions, and extra juicy. When cooked the right way, the taste of Purefoods Corned Beef transports me back to our classroom, hurriedly having lunch over great conversations with my classmates. 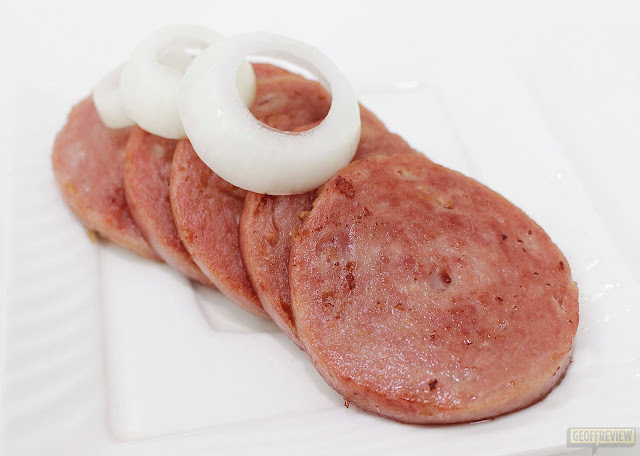 Purefoods Corned Beef and the Purefoods Luncheon Meat are the ones that I am most familiar with, (and are actually my favorites). 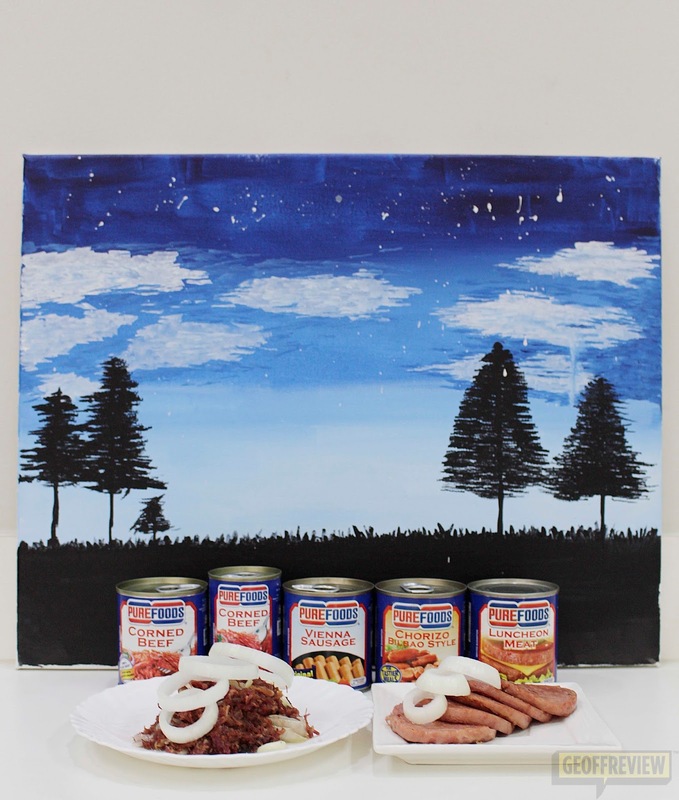 I recently discovered that these are actually parts of Purefoods’ Blue Line products, which also includes the Vienna Sausage, Chorizo Bilbao, and Liver Spread. These are great breakfast ideas, especially the Chorizo Bilbao which goes so well with eggs and fried rice. A few weeks ago, I got the chance to turn my fond High School memories into art through a painting activity held at Sip and Gogh. 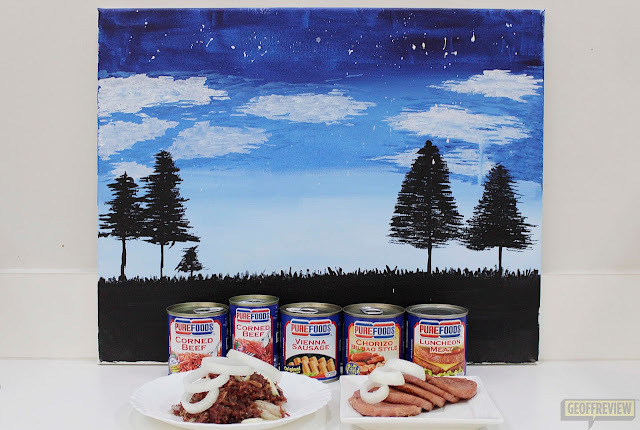 I tried squeezing out whatever creative juices I have left to translate my Purefoods Blue Line moments into a simple painting. It was a fun event, which allowed guest-bloggers like me to bring out the inner artists in them, carefully turning a blank canvass into a personal work of art. Unfortunately, I wasn’t able to finish my painting, but nonetheless, the experience in itself was already nostalgic. Every stroke of the brush and every carefully plotted lines reminded me of my childhood, as I tried my best to depict those high school memories into something tangible and pretty. It’s moments like these when I get to appreciate the effort of my mom the most. Looking back, I realize that she doesn’t give us just any corned beef – she made sure that it’s Purefoods, and that we would enjoy the lunch she carefully prepared for us. She valued quality and taste over price. Even in a meal as simple as “Corned Beef Silog”, I was able to feel that she made it with love, and that’s one of the warmest feelings that I now keep. Truly, just as Heart Evangelist said during the event, “Anything can be Art, just as long as it comes from the Heart”.